Welcome to Hell! Why the long faces? Are you really surprised you ended up here with me? It's time to play SINONYMS, the (under)world's favorite adult party game. It's as fun as ... Hell! Mortal life is over for you and your fellow players. To nobody's surprise, all of you ended up in Hell. But it didn't take long for you to realize the Prince of Darkness is not much of a host and that Hell really is a miserable place. It's time to make your escape. With each raunchy, rowdy and rapid-fire round of SINONYMS, one player/team will climb closer to freedom. 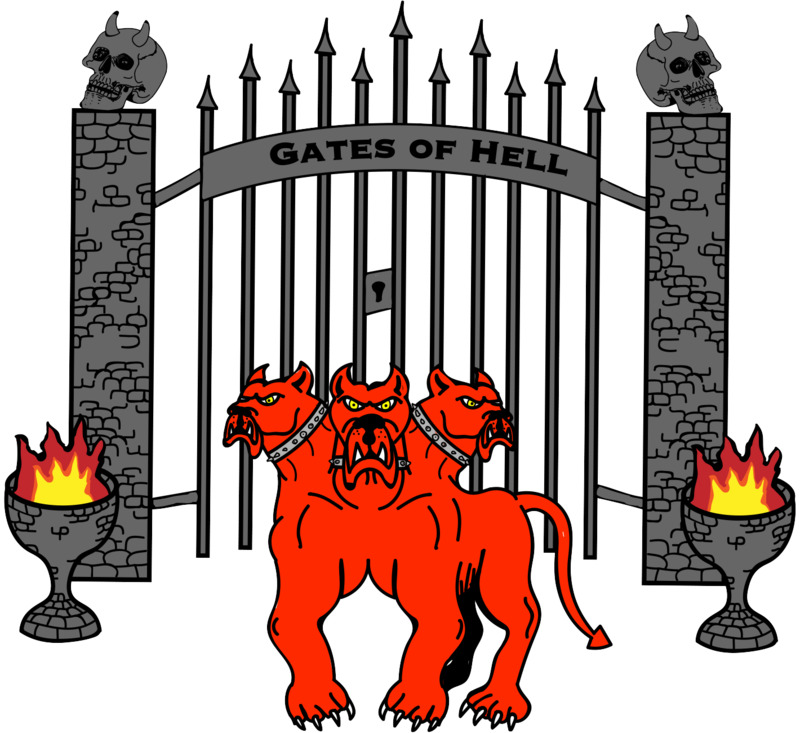 Will YOU be the first to win the game by safely passing through the Gates of Hell? After a roll of the die, players/teams will land on one of three different footprints on the game board. 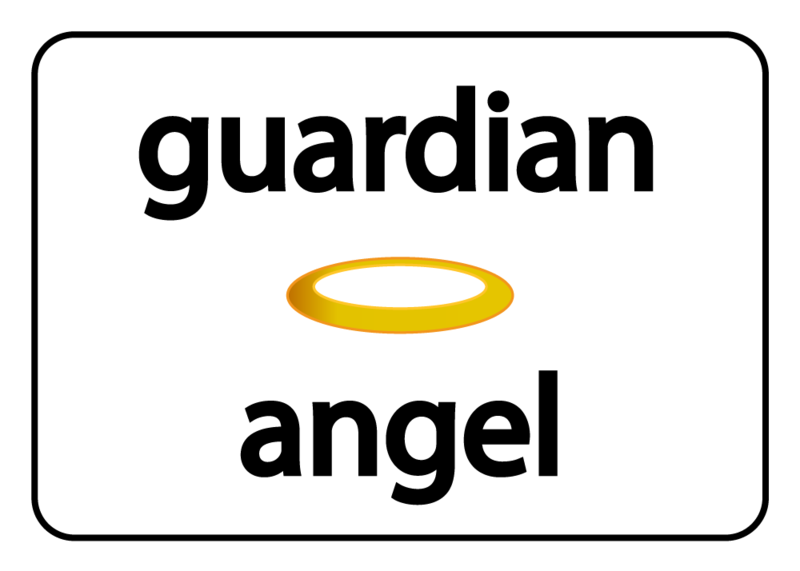 A subject word card is drawn. All players/teams will compete in calling out SINONYMS. 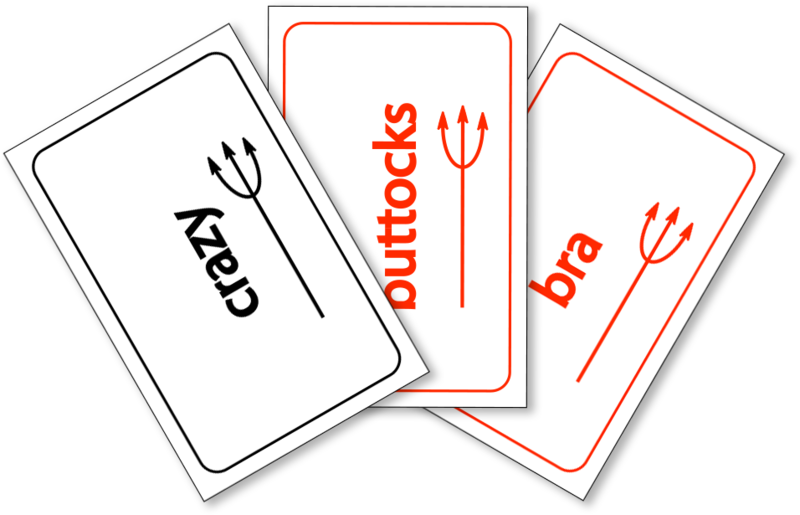 The prongs of the pitchfork displayed on the subject word cards dictate the direction of play. 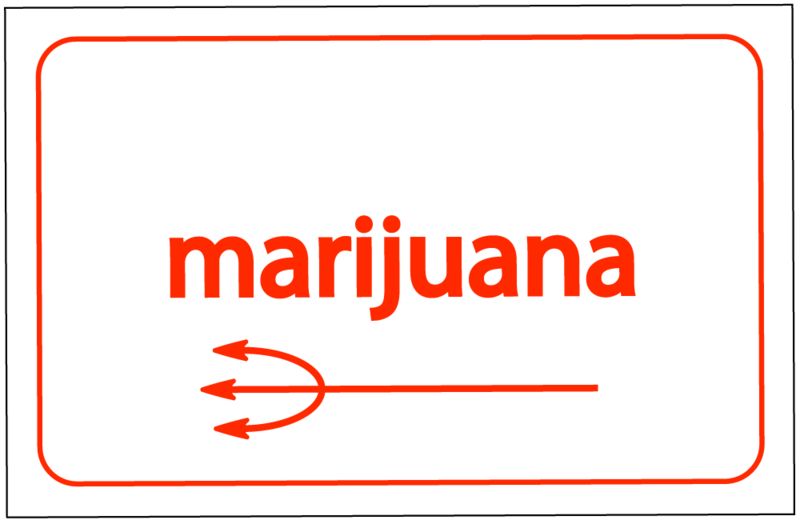 A subject word card is drawn. The player/team that rolled the die chooses one other player/team to duel in a battle of SINONYMS. No subject word card is drawn. 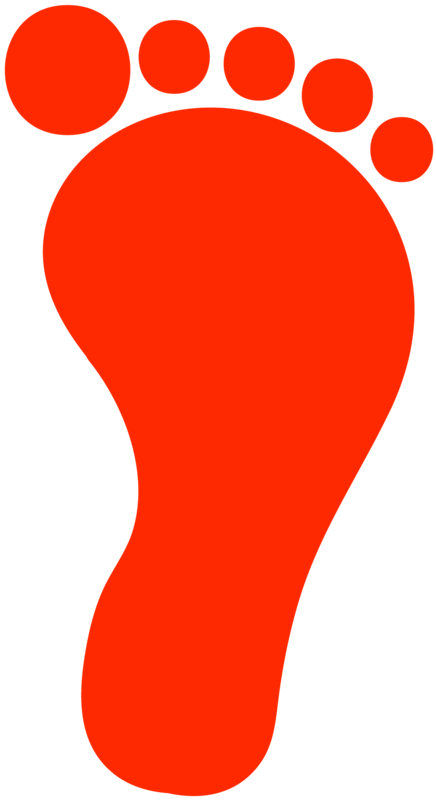 The player/team that landed on the red footprint follows the directions on the footprint and the turn of that player/team ends. Players/teams have 10 seconds to call out an acceptable SINONYM for the subject word. Let's say the subject word is "marijuana". SINONYMS to call out might include: "pot", "grass", "cannabis", and "Mary Jane". 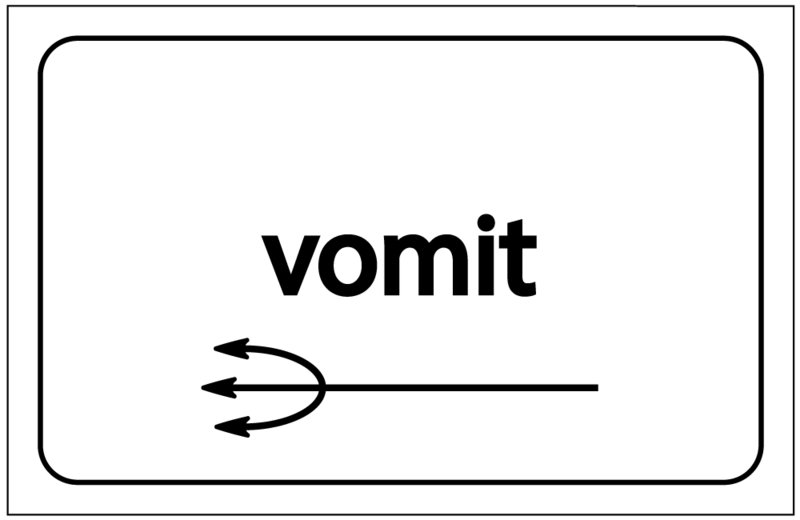 Maybe you'll call out "puke", "barf", "blow chow", or "make a floor pizza" for the subject word "vomit". Ew, now that's just gross! And we shudder to think what your friends might call out for the subject word "breasts"! Warning: the red subject word cards are extra naughty! Play continues until a player/team fails to call out an acceptable SINONYM within 10 seconds. When that occurs, the unsuccessful player/team is eliminated from the round. The last player/team to call out an acceptable SINONYM within 10 seconds wins the round, rolls the die, and moves closer to an escape from the underworld. But beware of Cerberus, Satan's temperamental three-headed pooch! 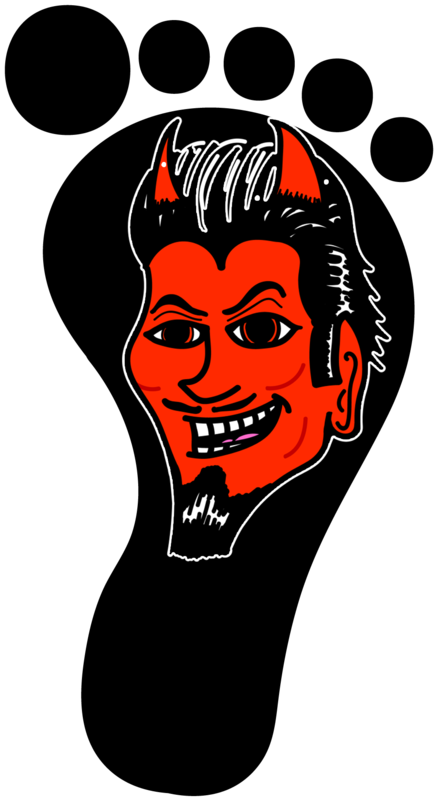 As you might expect, a silver tongue, potty mouth, street smarts, carnal knowledge, and a twisted mind are key ingredients for SINONYMS success. 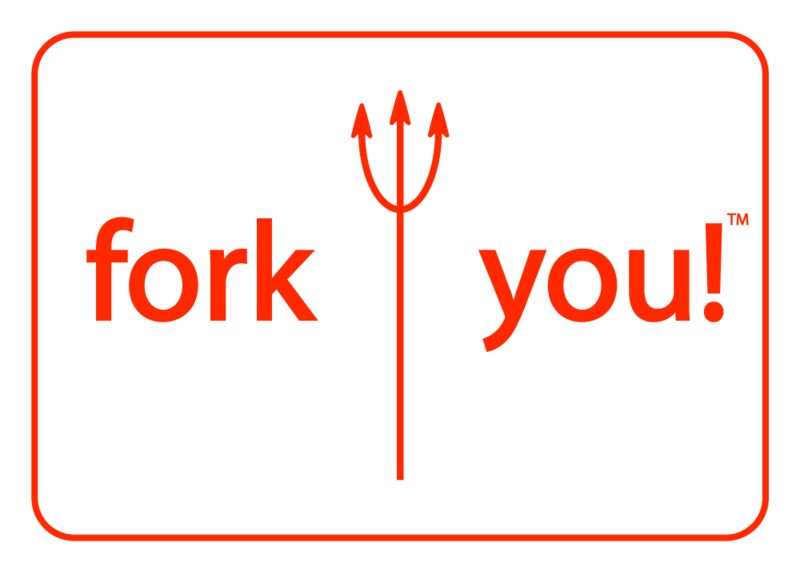 But even if your mind's blank and your tongue's tied, you may still find salvation in the form of a guardian angel or a perfectly played pitchfork! Not enough time or space to play SINONYMS as a board game? No problem! You can also play SINONYMS as a card game! In that case, players/teams try to collect the most subject word cards by winning rounds of play. Can you/your team collect five cards, 10 cards, or more?